Travelling is a way of dreaming about the world, and we want your dreams to be peaceful and happy. A place where your imaginary adventures come true. Welcome to your home. 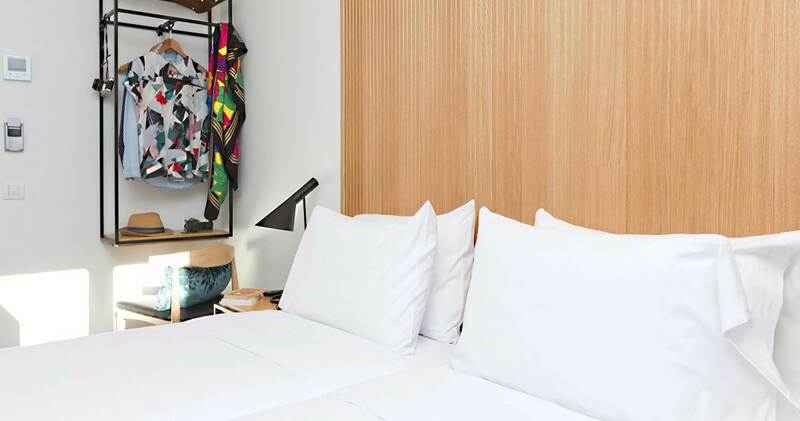 SLEEP’N is located in the heart of the city inside the Triangle of Art, right beside the Reina Sofía Museum and just a street away from Atocha Train Station. Get ready to feel Madrid unfold before you like a red carpet. With a Metro stop around the corner, getting to Sol is a breeze. Make a stand against climate change! We will donate €5 to Reforesta for every day you choose not to have your room serviced. The money will go to help repopulate the planet’s forests. At SLEEP’N we believe in a better world for everyone and we know that the change we need has to start with us. We are deeply committed to society, to our human team and to the environment. We want to make it to the top, but we plan to do so responsibly. We have been awarded a Gold certificate by Travelife. 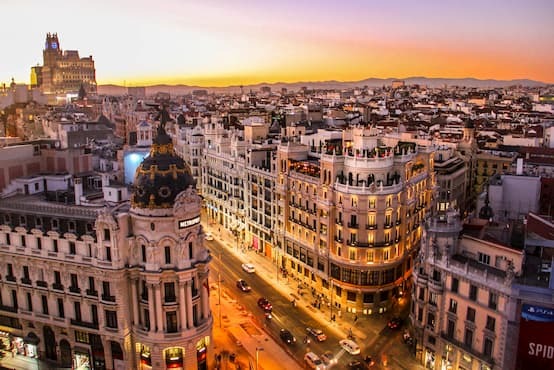 Take your Madrid experience further! We bring you the latest news about the city, events, interesting reads, updates and more to make sure you can factor all the changes of this dynamic city into your trip. Download our customised content. Sorry, this entry is only available in European Spanish. Read full article. Want to listen to the best SLEEP’N music? This is our most affordable room. It was designed for people who just need a good bed, a nice shower and all of the SLEEP’N amenities. With a 90 cm / 3 ft wide bed and a window onto an inner patio, this is the perfect room for a good rest before a busy day. Travelling alone but looking for a big bed? We know the feeling and have the perfect option for you. Travelling alone is always an adventure for people who want to explore the city under their own steam without worrying about others. But that does not mean you don’t want a spacious room to unwind and feel at home in at the end of the day. A cosy little room for two people equipped with everything you need. The window looks out over an inner patio. These rooms are nice and quiet. An excellent choice for short stays or for people who plan to spend the whole day out and come back for a good night’s sleep. A peaceful room for two people featuring all of the SLEEP’N amenities. These rooms will overlook either an inner courtyard or a pedestrianised street, subject to availability. This would be the perfect room for people who are planning a longer stay in the city or looking to spend more time in the hotel room. A spacious double room with a lovely view over one of the city’s most iconic streets. If you plan to bring a lot of luggage, stay for a long time or simply indulge in the morning sunshine on the balcony, this is definitely the room for you. Designed for you to enjoy the city with your family or in a group of up to 4 friends. A spacious room with a convenient layout for groups who need plenty of space but want to stay together day and night.